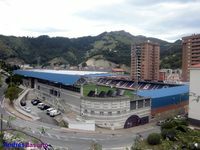 The need for professional football stadium became apparent in 1940s, as SD Eibar was formed and established itself as the town’s team. 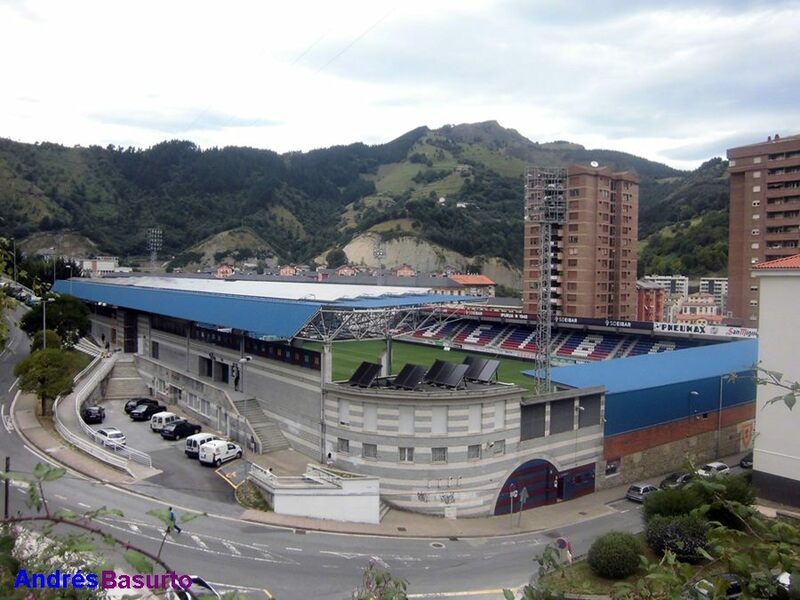 Ipurua’s field was opened in September of 1947, when locals faced their major rival CD Elgoibar. 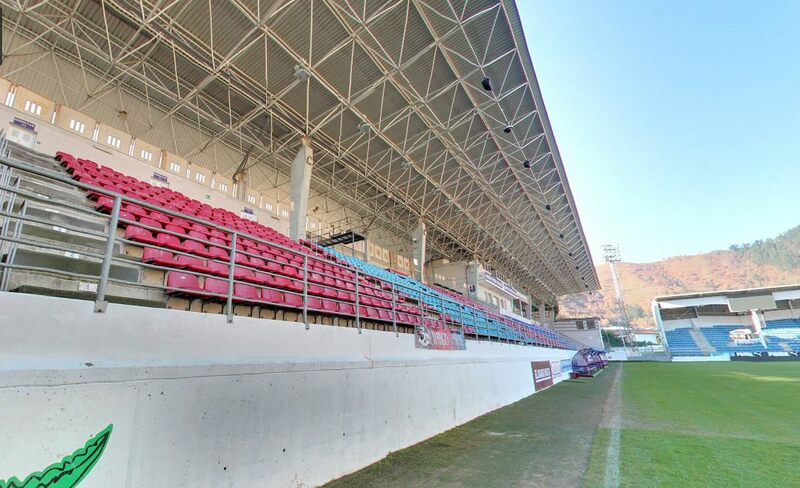 It wasn’t until the following year that the first grandstand began growing along the south side of the field, finished in 1951. 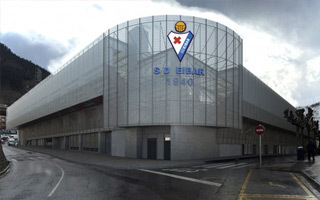 By 1970 the venue already had its first floodlights (replaced in 1989), but waited until 1974 to get a second stand (west end). 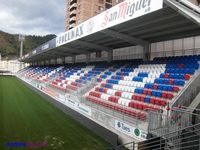 Following the club’s promotion to the 2nd league (1986), new north stand was built in 1988 and joined by upgraded ends. 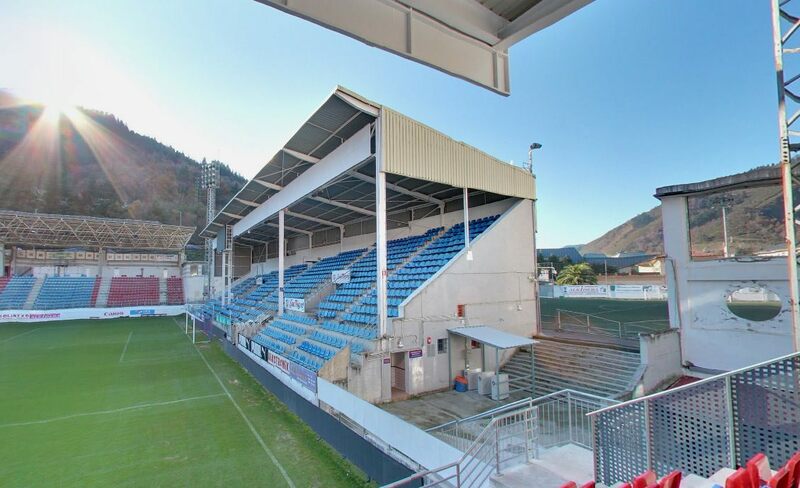 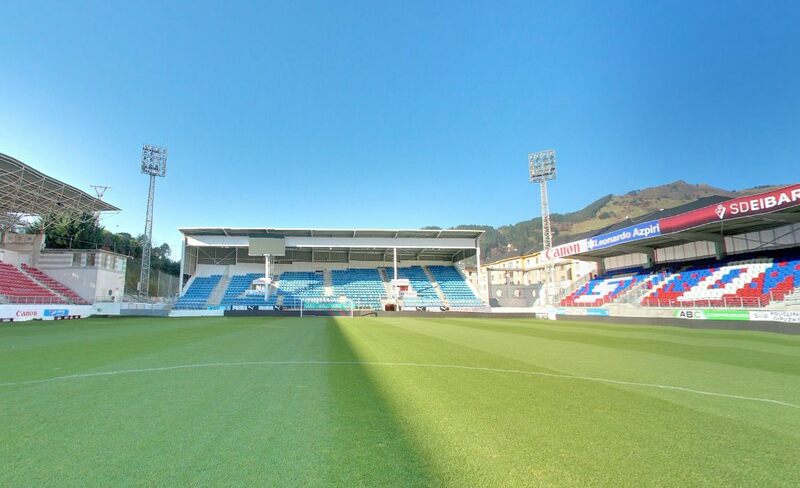 The north side, where Ipurua offers least place for seating, was then demolished in 1999 and replaced just to be dismantled again in 2015, after had SD Eibar advanced to Primera División. 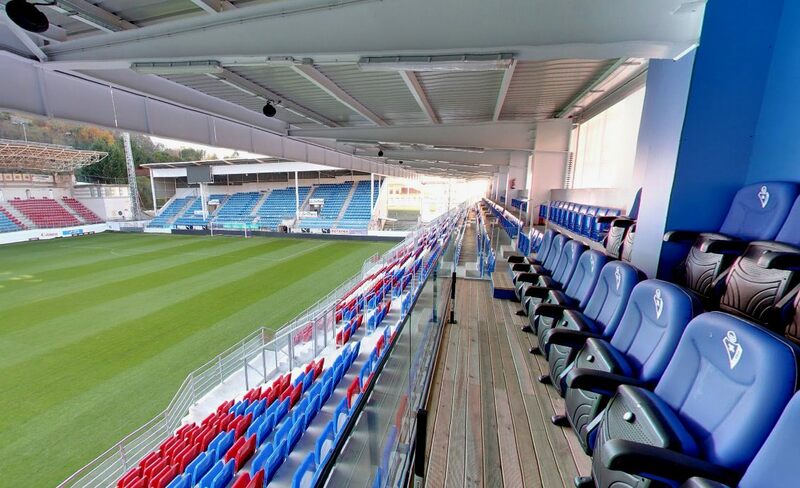 The sporting success meant new licensing regulations, including a capacity minimum of 15,000. 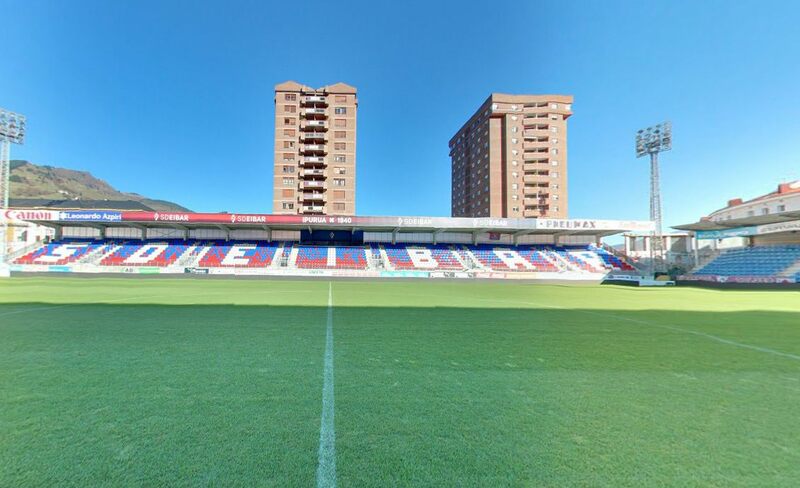 With the stadium being incorporated into a hillside and dense residential estates around, there is no chance of meeting that number. 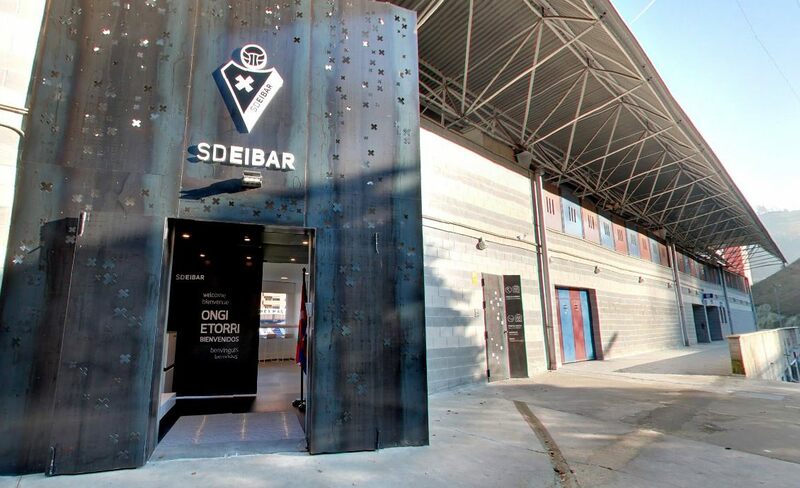 However, SD Eibar launched a major project called Ipurua Tallarra, which foresees all of the stadium and training infrastructure upgraded.